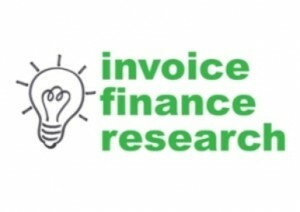 Anyone who is anyone within the invoice finance arena should join the the UK Invoice Finance Research Group on Linkedin - its completely free and it shares and discusses research findings relating to the future of the invoice finance, factoring and invoice discounting industries. You can use our research findings to better understand what invoice finance customers really want and use it to shape your product, sales and marketing strategy. The UK Invoice Finance Research Group was set up to enable the sharing and discussion of research relevant to invoice finance, factoring, invoice discounting and related subjects to aid in the expansion of the UK invoice finance market. 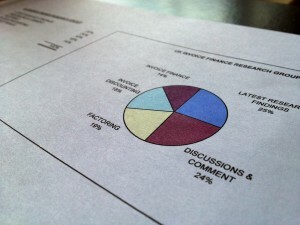 I have regularly used the group to share the results of a number of pieces of research that have been conducted (as have others) regarding invoice finance related issues. The content is often unique and not necessarily on this blog. The UK Invoice Finance Research group is open to anyone that has an interest in invoice finance including factoring & invoice discounting companies, industry professionals, existing & prospective customers, introducers, business advisers, students and other parties. I review all new disussions before publications so the group doesn't allow advertising so you only see relevant topics and not a lot of spam as with some other groups. We have also allowed some invoice finance companies and recruitment companies to post invoice finance related jobs so it will also keep you on the radar for the latest factoring industry jobs. The whole thing is free so I think anyone related to invoice finance should join.